#ChristmasinJuly 4 Day #Readathon Starts Now! It's time for our four day Christmas in July Readathon! I can't believe July has flown by so fast. Of course, I say that every month. What are your plans? Will you read all Christmas? Will you continue on with strictly High Summer reading (which also lasts for four more days), or will you do a little of both? I'm thinking I might squeeze in one small Christmas read, after I finish To Kill a Mockingbird. I've certainly been in a festive mood, watching Christmas movies on Hallmark and I even listened to Christmas music in the car yesterday! I've been sharing a few things over a my Christmas site, Christmas Spirit. Not as much as I wanted to, but I have four more days so will try to add a couple more Christmas-y posts. I hope you'll stop by to visit. 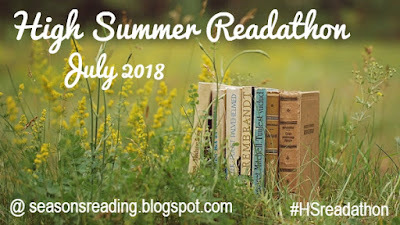 I hope everyone is enjoying High Summer and will enjoy the Christmas readathon as well. Happy reading, whatever you decide to read the last four days! I'm a few days late with this check-in post. Sorry! My month has not gone as planned, and my summer is pretty much over now that my younger (15 year old) son has a job and my older son has football practice every day. I'm now a glorified taxi driver and school hasn't even started yet. Not long to go though. They go back August 7th. How is your reading going? I hope you're picking up some books that you're really enjoying. Seems like there are a lot of other exciting readathons going on this month too. 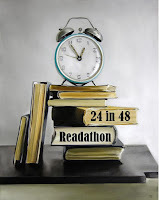 There's the 24in48 Readathon this weekend, July 21 and 22. 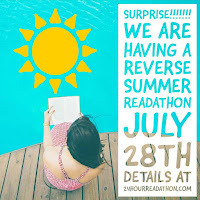 Then there's the Dewey's 24 Hour Reverse Summer Readathon starting Friday, July 27 at 8 pm ET and ending Saturday, July 28 at 8 pm ET. Fun! Will you be joining in on either of these? Don't forget about our Christmas in July Readathon at the end of High Summer, during the last four days (Saturday thru Tuesday, July 28-31). Just a reminder...you do not have to participate if you're not IN to Christmas, but if you are, this is for you. In case you missed it, the High Summer prize page is here. Let us know how you're progressing with High Summer. Leave a comment and/or leave a link to an update post if you like. Let's keep going! Happy Reading! This is the giveaway/prize promotion page for all the prizes being given away for readathon participants. At the end of this post, you will find details regarding how the prizes will be awarded at the conclusion of the readathon. 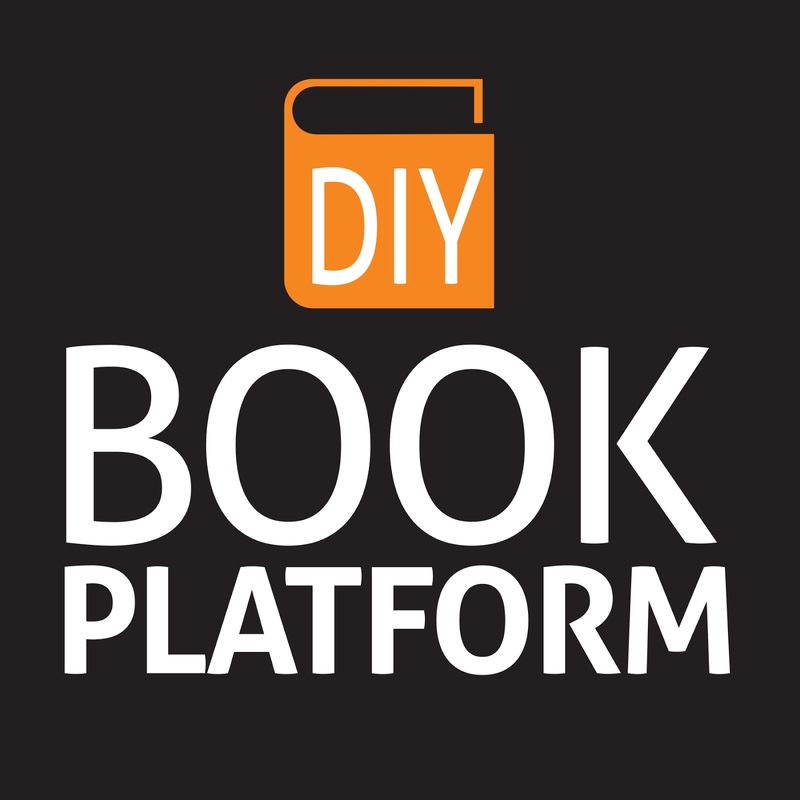 Are you a reader, but also a writer? Are you finished (or almost finished) with your manuscript? 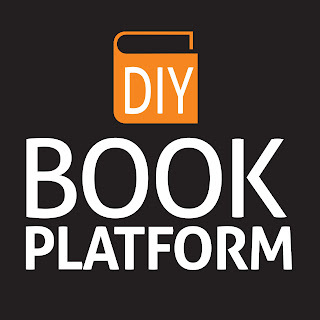 Well, you're going to need a book platform! Note: Discount code must be used by January 1, 2019. Membership never expires. From the author of The Jewel of Medina, a moving and insightful novel based on the life of legendary performer and activist Josephine Baker, perfect for fans of The Paris Wife and Hidden Figures. Discover the fascinating and singular life story of Josephine Baker—actress, singer, dancer, Civil Rights activist, member of the French Resistance during WWII, and a woman dedicated to erasing prejudice and creating a more equitable world—in Josephine Baker’s Last Dance. 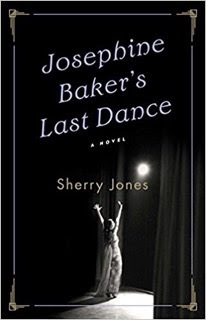 In this illuminating biographical novel, Sherry Jones brings to life Josephine's early years in servitude and poverty in America, her rise to fame as a showgirl in her famous banana skirt, her activism against discrimination, and her many loves and losses. From 1920s Paris to 1960s Washington, to her final, triumphant performance, one of the most extraordinary lives of the twentieth century comes to stunning life on the page. With intimate prose and comprehensive research, Sherry Jones brings this remarkable and compelling public figure into focus for the first time in a joyous celebration of a life lived in technicolor, a powerful woman who continues to inspire today. Author and journalist Sherry Jones is best known for her international bestseller The Jewel of Medina. She is also the author of The Sword of Medina, Four Sisters, All Queens, The Sharp Hook of Love, and the novella White Heart. She lives in Spokane, WA, where, like Josephine Baker, she enjoys dancing, singing, eating, advocating for equality, and drinking champagne. Visit her online at AuthorSherryJones.com and at Facebook.com/SherryJonesFanpage. I will make a $15 donation to the winner's choice of a human rights organization, such as the ACLU, Boys and Girls Club, Human Rights Campaign, GLAAD, Amnesty International, It Gets Better, Planned Parenthood, or another human rights organization of your choice, perhaps your local chapter or a local organization. This giveaway is open internationally. Winner's choice of any book title from the bargain books (these are generally used books) section of Better World Books. They ship internationally. (priced at $3.98 or less) OR a Kindle book valued at $2.99 or less. This is a readathon participant only giveaway. 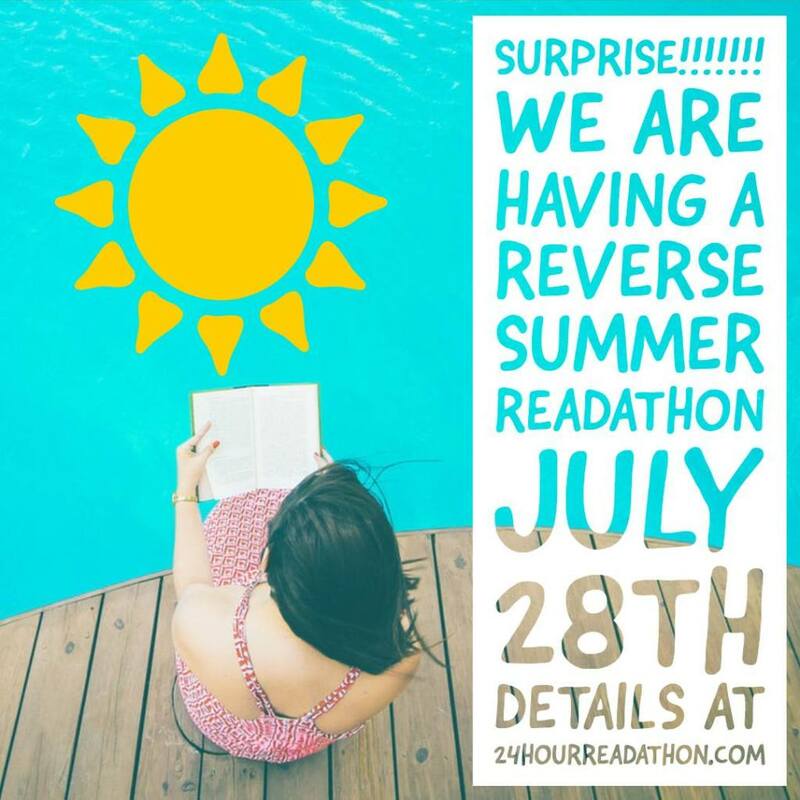 To be eligible, you must have signed up, participated and added a link to the official readathon wrap-up post (I will give everyone until Monday, August 6th at 11:59 pm CDT to complete their wrap-ups). We will no longer use a linky for wrap-ups. There will be a Google form on the readathon wrap-up post where you will enter your info, your wrap-up link, and answer yes/no on whether you want to win a prize or not.We have a total of 4 prizes. This means there will be 4 winners. I will award prizes on a first come, first served basis. I will draw the 4 winners with random.org and email all 4 at the same time. The first person who emails me back with their choice gets that prize. I will mark off the prizes as they are taken. Winners will be chosen after the wrap-up post deadline (see above). I have a few prizes lined up and I'll have the prize page posted by the end of the first week. I'm thinking of eliminating the wrap-up linky and just using the Google form for wrap-ups (since I require the wrap-up link there anyway). That way you won't have to do two steps at the end of the readathon. So, that means the wrap-up Google form will be on the wrap-up post instead of the prize page. I will have a yes/no so you can let me know if you're opting out of winning a prize. 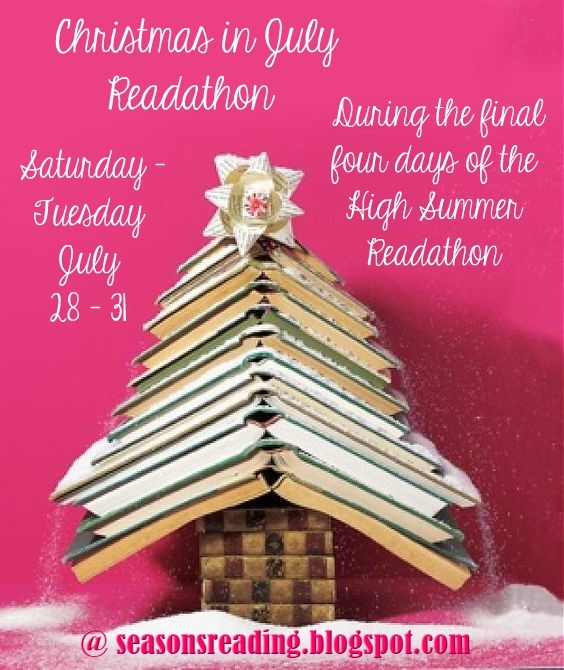 Don't forget, during the last four days (Saturday thru Tuesday, July 28-31) of the readathon, we are having a Christmas in July Readathon! Don't worry...you do not have to participate if you're not IN to Christmas, but if you are, this is for you. Also, you can even choose to read Christmas books during the entire High Summer Readathon. I'm flexible! If you have any questions about how things work, check out the guidelines in the sidebar menu or the sign up post, or you can always leave me a comment (or send me a message via the contact form). The linky below is the same one as the sign up linky. If you do a starting line/goal post, just add your link again, but be sure to put "goal post" beside your name, i.e. Michelle/The True Book Addict (goal post). I will post a mid-event check in post at the halfway point. 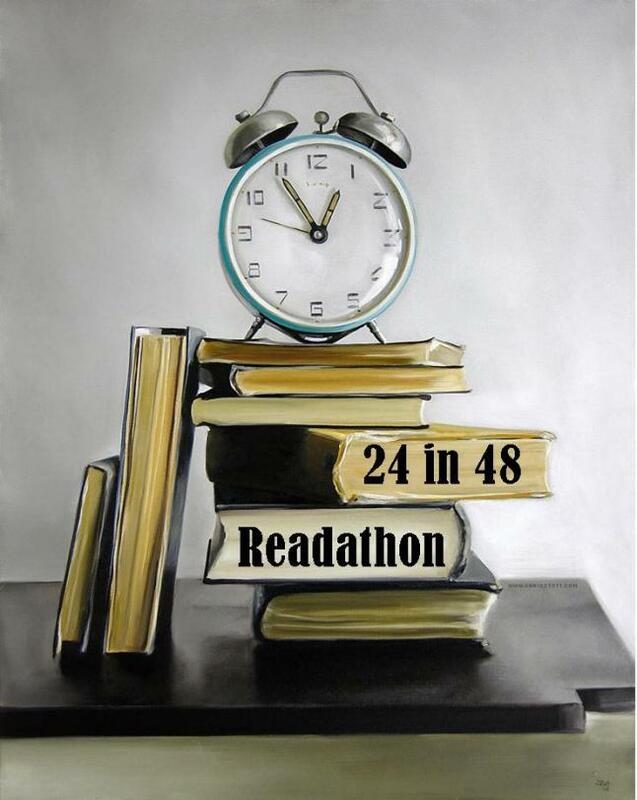 Our hashtag for the readathon is #HSreadathon Don't forget about our Facebook group and we now have a Goodreads group! Here we go! Happy Reading!